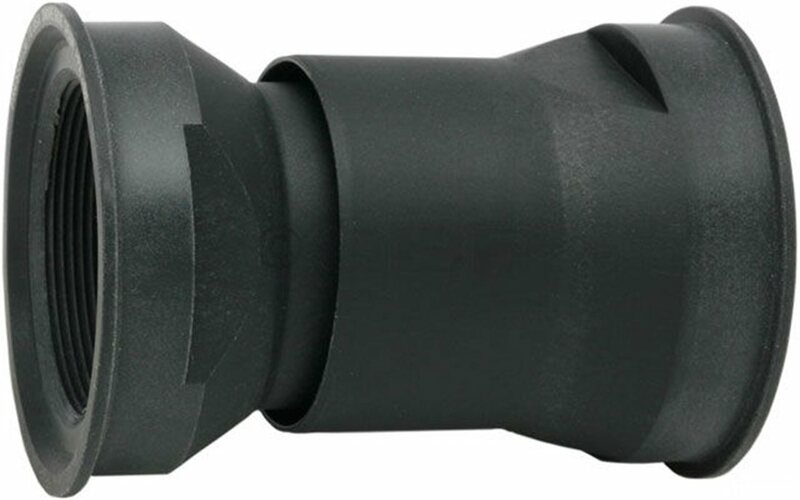 Use this adapter to convert frames built to the PF30 standard for use with crankset / bottom brackets that require English thread 68 or 73mm screw-in cups. Made of light, stiff composite. Due to its design, this item must be used with crank/bottom bracket that prevents the two sides of the adaptor from separating, e.g. external bearing type cranks. Square taper / ISIS / Octalink cranks will not be compatible with this adaptor. This adaptor was used in an All-City Mr. Pink frame and worked exactly as advertised. You simply thread in the BB cups and tighten them into the adaptors inside a vise, and press the adaptors in with a standard headset press. Works beautifully. I just used a little grease inside the PF30 shell and have had no creaks or any other issues. The adaptors are made of lightweight plastic which I was a little questionable about on arrival but they have not given me a single issue and appear very solid. I needed this for my Niner and it worked out great. Easy install. This thing might work on some frames with tighter clearances (maybe steel frames or aluminium frames? )but on my carbon Air9 RDO with x0 cranks it constantly pulls the cups out of the BB shell after about 6-7km of race pace XC riding leading to some serious crank alignment issues. I went to a shop to see if there were any other adaptors locally, the owner mentioned he has had several other customers with issues using these on some carbon frame bikes. Not going to be able to race this weekend because of it - solution, going to a BB30 crankset. This came on my Air 9 Carbon RDO, and failed about 35 miles into the 50 mile Dakota 5.0. My crank literally pulled through the frame, and had I not quit, would have ruined the frame. Don't waste your money. Cheap plastic on a vital part of your bike. I remove it asap and replace with a bb30 conversation by praxis. No problems since then. does not work well. design or material is poor at best. not sure if it is niner RDO design or sram. What is the weight on this?